BBIN is a big initiative in the region for improving rail and road connectivity in the region. The Bangladesh, Bhutan, India, Nepal (BBIN) Initiative is a sub regional architecture. It meets through official representation of member states to formulate, implement and review quadrilateral agreements across areas such as water resources management, connectivity of power, transport, and infrastructure. India approved $1.08 Billion for construction and upgradation of 558 kilometres (347 mi) long roads that join Bangladesh, Bhutan and Nepal. The project will receive 50% funding from Asian Development Bank. It is estimated that this project will increase the regional trade by 60% while that with rest of the world by 30%. India proposed a SAARCMotor Vehicle Agreement during the 18th SAARC summit in Kathmandu in November 2014. Due to objections from Pakistan, an agreement could not be reached. India instead pursued a similar motor vehicle agreement with the BBIN. The BBIN Motor Vehicles Agreement (MVA) was signed on 15 June 2015 at the BBIN transport ministers meeting in Thimpu, Bhutan. The agreement will permit the member states to ply their vehicles in each other’s territory for transportation of cargo and passengers, including third country transport and personal vehicles. Each vehicle would require an electronic permit to enter another country’s territory, and border security arrangement between nations’ borders will also remain. The first cargo truck to take advantage of the motor vehicle agreement was flagged off from Kolkataon 1 November 2015. The truck travelled 640 km to reach Agartala via Dhaka. Prior to the signing of the BBIN Motor Vehicle Agreement, the truck would have had to travel 1550 km through Indian territory to reach Agartala. In August 2016, Bangladesh dispatched a truck carrying garments from Dhaka to New Delhi as part of a trial run of the agreement. The truck received an electronic permit to enter Indian territory through an online web-based system. Instead of having to undergo customs clearance and formalities as it would prior to the agreement, the truck was fitted with an electronic seal with a GPS tracking device. The truck was then inspected for custom clearance at New Delhi, rather than at the border. The agreement will enter into force after it is ratified by all four member nations. 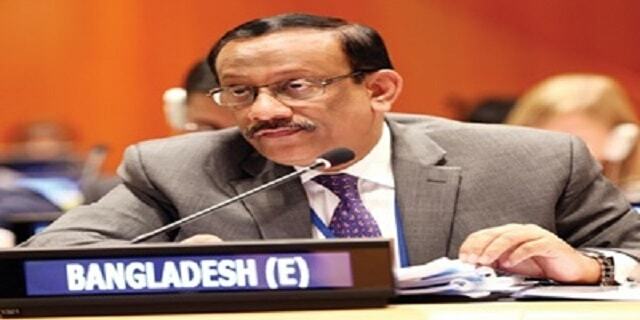 The agreement has been ratified by Bangladesh, India and Nepal. The lower house of the Bhutanese parliament approved the agreement in early 2016, but it was rejected by the upper house in November 2016.